Sander uses the in his studio. A pair of Genelecs sit next to Avicii's KRK monitors in his studio. He says "We tested a lot of different monitors. The KRKs were my favourites by far. My manager Ash preferred the sound of the Genelecs so we got those as well – it’s always good to have two sets to A/B on for the final mix." 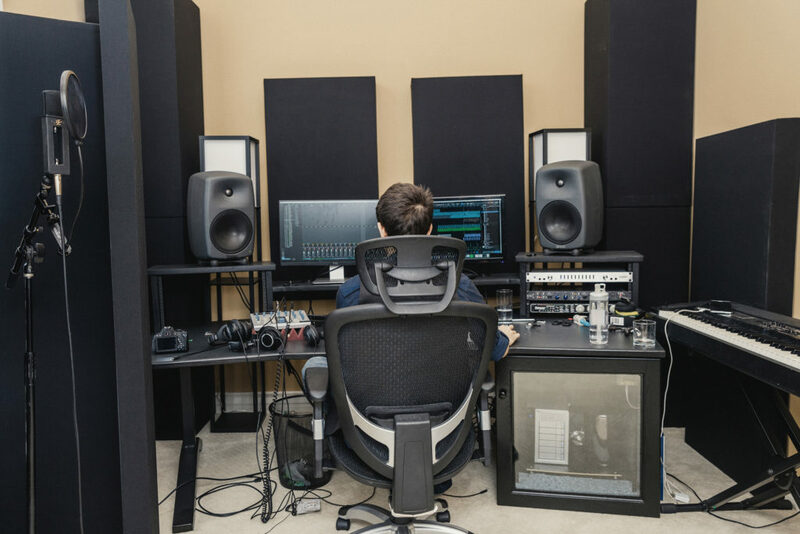 In this photo of Skrillex in his new LA studio, a Genelec 8040A can be spotted just behind Skrillex's left shoulder. Genelec 8040s can be seen in Armin's setup in this State of Trance from Moscow. Genelec 8040A's can be seen in Tiësto's studio photos on Facebook. Genelec 8040s can be seen in Dyro's setup in this video. Throughout this video, Zomboy's Genelec 8040A speakers can be seen on his desk. "We started on Geneelc [sic] 8040s with a 7060a sub and are now on Genelec 8351A's." A pair of Genelec 8040A Studio Monitor speakers appear at 30:20 in this rig rundown video of Vince Gill's studio. He's using it in a instagram video. EDM: What does your studio look like? W: It's a really basic setup, I have a mac pro, Genelec 8040 monitoring, Motu HD192, a Virus C & ti, and a Lexicon Reverb. That's all I use. "We've got a pair of Genelec 8040As with a 7060B sub." 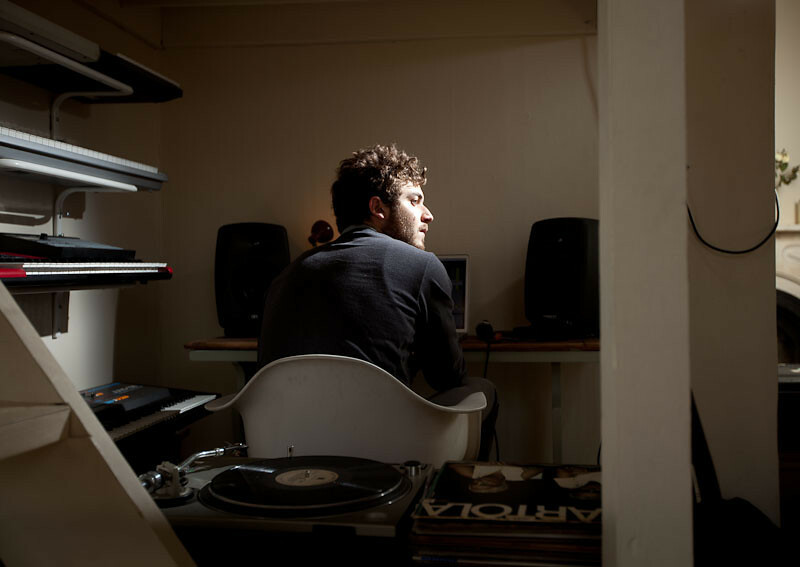 Nicolas Jaar can be seen with Genelec 8040's in the background of his studio picture taken for the New York Times. In this instagram video, overwerk is in his studio recording a teaser in which you can see he's using Genelec 8040A nearfield monitors. He's got two in his studio. The Genelec 8040 monitors can be seen in this Instagram post from Disfunktion. He's using them in this video. in this photo we see the speakers of dj viber...i think are genelec 8040A! in this photo we see Genelec 8040A! In this photo, 2 Genelec 8040A monitor speakers are visible. "Making a new Mr. Belt & Wezol's Music Club with a guestmix by .......! #onlinein3days #number10"
Four different monitor setups—Genelec 1038A, Genelec 8040A, Genelec 8020A, and Mackie HR824—plus four headphone types assure all the blinking LEDs add up to pitch-bent sound design that never loses track of the club''s arterial insistency. In this video you c John Christian using Genelec studio monitors. Check it out!! Recognizable and unique side of Genelec 8040A speaker design appears in this video taken by Arca in his studio previewing an upcoming track from his new album, Reverie. We can see D-Wayne having a Genelec 8040A Studio Monitor Speaker on the top-left of this picture. In this pic we can see he uses Genelec Monitor Speakers. Schneider's home recording studio. A pair of 8040As are seen on both sides of the computer monitors. At 1:26 you can see a Genelec 8040A standing in Zaytoven's production suite. In this Instagrm photo we can see he uses Genelec Monitor Speaker. He's also used that monitor in his studio! In this Instagrm pic posted during Summer 2015 we can see Genelec 8040 studio speaker. On the photo tehy say: " @ushuaiaibiza studio now for some fire!!" Aiden Jude keeps the "Genelec 8040A Studio Monitor Speakers" in his studio. Sophie is seen using genelec 8040a in her bedroom studio. Disclaimer: This is a possible assumption, given the size dimentions and aesthetic of these Studio Monitors. If you have any doubt, feel free to comment down below. A pair of Genelec Studio Monitors Speakers can be seen in this Instagram picture, uploaded by the artist himself. Assuming these pair has a 6.5 Woofer Driver each, it could be possible that these might be the 8040A model. More research is needed. Listed in the recording studio gear. I really prefer the sound of the Genelec 8040's. It's really clean and honest. The Genelec 8040's are significantly flat, yet the sound is incredibly precise, and it feels like everyday is a totally new experience whether i begin on a new project, or continue where i left off. It helps me keeping my mixdown flow as "boring" as possible, and personally i think that the 8040's have done the best job keeping it that way for me. It's gonna take a wonder for me to change new monitors from these. Those Genelec monitors are quite great, but if You want to know, how it will work in home studio - read this awesome study http://sonarworks.com/2014/08/studio-monitor-test-2014-08/ I like the scientific approach of this review. Definitely worth a look, before the decision! Genelec Studio Monitor Speakers. Avicii, Tiesto.